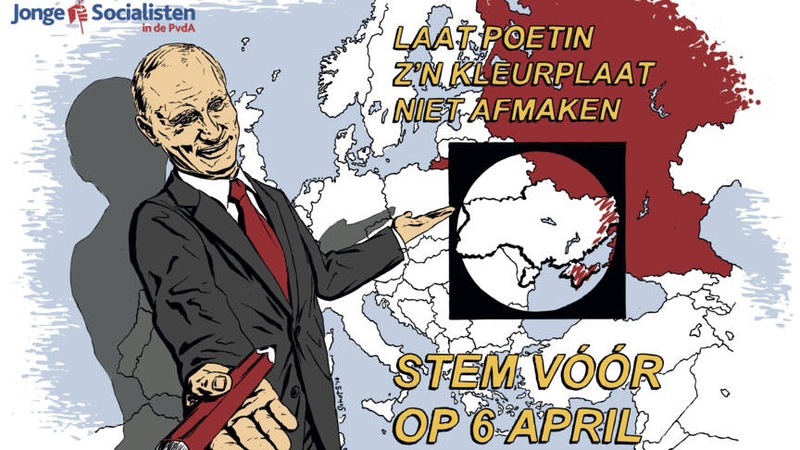 Tomorrow a referendum, grudgingly conceded by authorities, will test the opinion of Dutch voters, alone of any European electorate, on a commercial and political treaty between the EU and Ukraine. 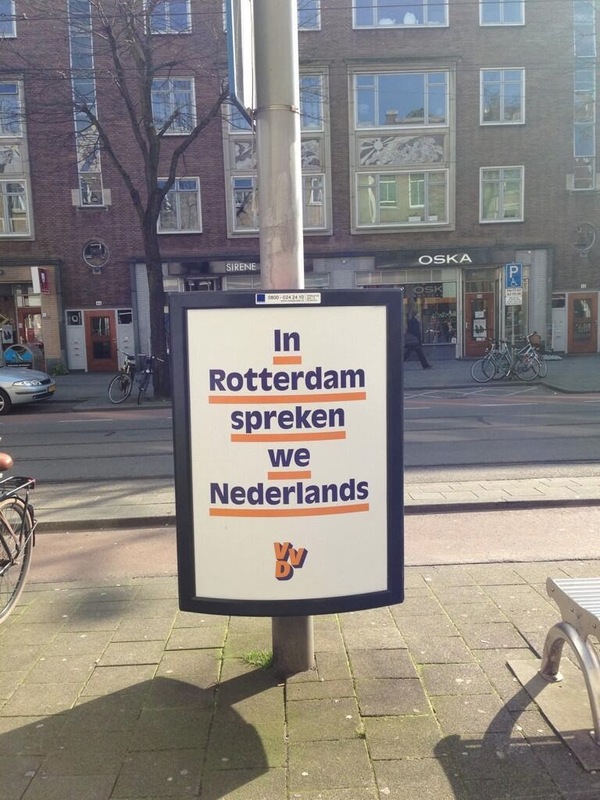 In February, the Dutch government’s communication strategy for the referendum was leaked. So dreary that its authors escaped much embarrassment, the document paired FAQs with approved talking points. Why should the North Atlantic ecumene of free trade be extended to the marches of Ruthenia? Russia is opposed to this agreement and will be happy with a ‘no’ vote. It’s worth keeping in mind that the Russian president Putin hopes to stop this agreement, keeping Ukraine in its sphere of influence and under its control. Hostility to Moscow is one thing, in a country now accustomed to a more aggressive foreign policy, and where the crash of Malaysian Airlines Flight 17 prompted an official day of national mourning, the first since Wilhelmina’s death. Yet there is little enthusiasm for what plainly is an intra-elite project, of marginal importance to the local population. Polls are unpromising. Watch out, this could tilt the balance in Europe. Not to threaten the citizen, but he must be well aware of his responsibility. The Dutch voter must act on 6 April as a European strategist. Popular consultation on EU treaties and edicts is, for well-founded reasons of elite prudence, typically avoided. Yet today’s situation in the Netherlands, and the media atmospherics that accompany it, emit a familiar echo of the recent past. I remember very well your referendum in 2005 on the European Constitution. The Labour Party, the Christian Democrats, the Liberals: they refused to conduct a campaign for the Constitution, fearing they’d be associated with the EU. So it went to hell. Of course, Juncker’s memory — in 2005 he was president of Luxembourg — is known to be a little unreliable. Yet eleven years ago, when Dutch voters rejected the proposed EU constitution, consternation had been acute. As in France, which voted one week before the Netherlands, elite opinion on the matter had been as one. Every Dutch newspaper, mainstream political party, trade union, business group, church and NGO had demanded approval. Retired eminences, including every living prime minister, were rolled out to join the consensus. Before voting day, with opinion polls unpromising and the French repudiation ringing in their ears, Europe’s elite tried to impress upon the Dutch public the extent of popular responsibility. The moment was not to be trifled with. His Justice Minister likewise recommended a ‘yes’ vote, otherwise continental war — Yugoslavia on a European scale — would be risked. To ensure peace and safety (‘Never again!’), the EU constitution needed popular ratification at the polling booths. Following the vote, chastened displays were immediately made in The Hague, Berlin and Brussels. Balkenende, Schröder, Chirac and Prodi declared with humility that the message had been heard and, rest assured, lessons learnt. Behind the scenes, efforts were in train to circumvent the popular will. The Labour Party’s leader, Wouter Bos, suggested a new referendum should be held within eighteen months. Repetition would give the Dutch public a chance to correct their mistake. A constitution, declared the Deputy Prime Minister in the NRC Handelsblad, had not been a fit matter for electoral consultation: ‘We now hold a referendum about a matter on which the population has no idea. This,’ said the minister for economic affairs, ‘creates a bad precedent.’ Before the poll, he had warned that ‘the lights would go out’ in the Netherlands if the EU constitution were rejected. Conventional opinion thus recognized Pim Fortuyn and Geert Wilders as demagogic masters of Dutch public opinion. Here ethno-religious divisions displaced any talk of a breach between rulers and ruled: antagonism between autochtonen and allochtonen (official euphemism for those of Moroccan and Turkish ancestry) was the sole acknowledged principle of political conflict. It would take until the 2010 election before Wilders could be hailed as the ‘real winner’, according to Spiegel and the international press. ‘The country is burning,’ said the announcer on the television news. In fact, the country wasn’t burning at all. The arsonists in Uden were a bunch of teenagers looking for kicks. The ‘civil war’ that some feared, the pogroms on Muslim areas, the retaliations by newly recruited jihadis, none of this actually happened. Most people kept their cool. But the constant chatter of politicians, newspaper columnists, television pundits, headline writers, and editorialists in the popular press produced a feverish atmosphere in which the smallest incident, the slightest faux pas, would spark endless rounds of overheated commentary. That year, a local television poll returned Fortuyn as the greatest Dutch person in history — naturally ahead of Spinoza, Rembrandt, Erasmus, Huygens, De Ruyter, Jan de Witt, Grotius, Multatuli and Van Leeuwenhoek, but worryingly beating even Cruyff. Amid national soul-searching, the Dutch public broadcaster dispatched a TV emissary to Princeton to consult with the historian, Jonathan Israel, on contemporary affairs. What was up with today’s Dutch? The Dutch deputy prime minister (and minister for Economic Affairs), located the failure in the absence of a bipolar electoral system (as found in the US or Britain). If proportional representation were replaced by a first-past-the-post voting system, the Netherlands could become a ‘normal’ country, in which two responsible, market-friendly parties of the centre-right and centre-left alternated in power. Thus the most recent Dutch general election was a ‘positive development’ according to the Financial Times. The skies are clearing over Europe. This week Dutch voters injected a much-needed boost of confidence after decisively rejecting eurosceptic voices in a national poll. The victory of centrist parties supportive of eurozone rescue measures is the first tangible sign that anti-European sentiment may not be as deeply rooted in northern Europe as many had feared. Such were the reassuring signs of a stable, respectable polity. But how typical of broader trends is Europe’s supposed bellwether? Heine is supposed to have remarked — there exists no record of the quip — that, should the world start coming to an end, he would flee to the Netherlands, since everything happened 50 years later in the Low Countries. Whether or not the poet’s crack was apocryphal, the fact of Dutch belatedness in Restoration Europe was genuine and striking. What had been the world’s most productive economy — only overtaken by Britain in the late eighteenth century at the earliest, more likely as late as 1820 — now lagged its North Sea peers. 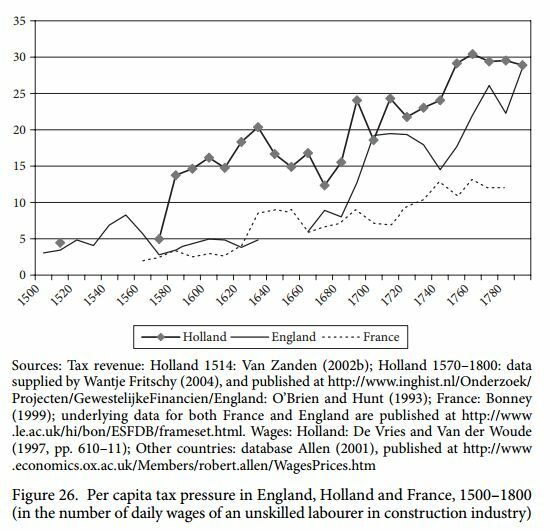 Industrialization in the Netherlands, unlike in newly independent Belgium, did not begin until 1860 or so. Bas van Bavel and Robert Brenner have shown that capitalist property relations — assetless wage labourers and leaseholding tenant farmers — first emerged in the dairy farms, herring fisheries, peatlands and polders of maritime Zeeland, Holland and Groningen in the mid-sixteenth century. More novel still, the reclaimed polders had been born free of any aboriginal class of peasant smallholders. After 1580 Habsburg absolutism had been precociously overthrown. A new high-revenue, warmaking ‘fiscal-military’ Dutch state was formed in the world’s first bourgeois Revolt. By virtue of its tax resources, long-term public debt and securities market, the entrepôt became an imperial maritime power active from Brazil to the Spice Islands. From the 1840s the batig slot from the East Indies contributed around 4 percent of Dutch GDP; as the price of Javanese coffee and sugar boomed, colonial revenue provided up to one-half of the metropolitan state’s total income. By the end of the Napoleonic Wars, per capita income in the Netherlands remained nearly double that in the Yangtze Delta, and Dutch literacy was well above British rates. Such was for a time ‘the model capitalist nation,’ in Marx’s words. 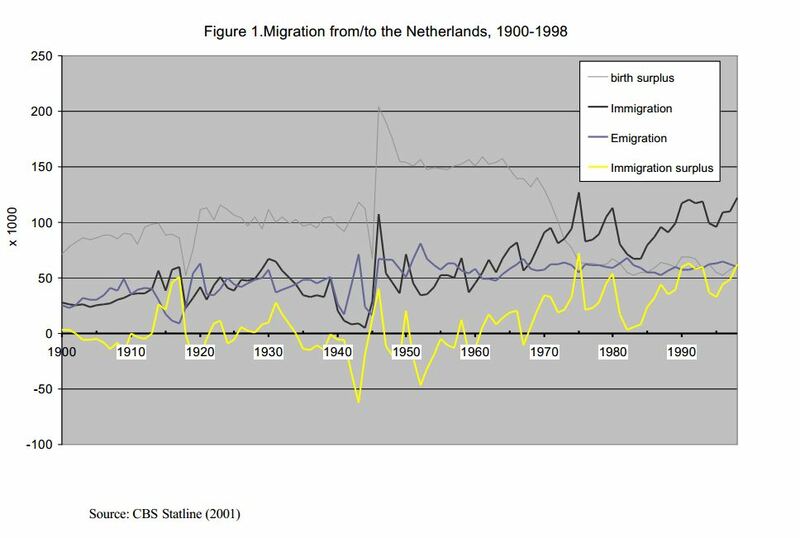 Are the Netherlands today Europe’s laggard, precursor, standard bearer or national anomaly? The verdict on this small territory seems to depend on whether European publicists are in a complacent, self-satisfied mood, or inclined to panic. In one register, the continent is a paragon of moderation, secularism and well-adjusted compromise, host to many faiths and open to all cultures, ‘an inspiration to the world’ which other lands — a glance at the United States or Japan — would do well to emulate. At the 2007 Venice Biennale, the Dutch entry ‘Citizens and Subjects: the Netherlands, for example’ took The Hague as emblematic of developments in the capitalist nation-state since 1989. Governments increasingly treated immigration as an ’emergency’, applying the machinery of coercive force rather than welfare and service provision. Thus does polite opinion veer between self-congratulation and sensationalism, its outlook episodic. Having celebrated the fair-weather comity of Maastricht, two decades later the pact’s bleak upshot provokes liberal commentators to hand-wringing. 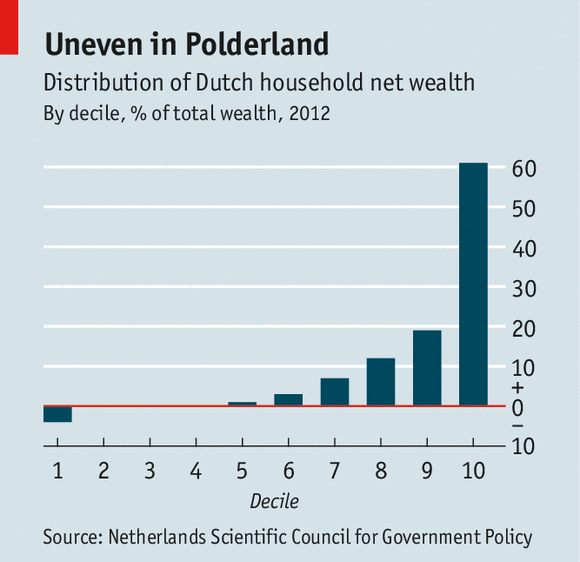 Do those presiding over Dutch society today possess a coherent formula for rule? The answer to this question is a source of either journalistic comfort or despair. The nature of this formula, or the origin of its dysfunction, is rarely examined coolly. What then are the hallmarks of Dutch society and its political order, and how did they arise? At the convenience of Dutch manufacturing firms, guestworkers from Turkey and Morocco were brought in to accommodate labour demand in textiles, shipbuilding and mining until 1974. No longer expedient for Den Uyl’s Labour government as recession hit, the inflow nonetheless continued via family reunions in the late 1970s and early 1980s. This movement of people, mostly to the Randstad, coincided with a downturn in investment and slack demand for employees. By 1988, just shy of 25 percent of the Amsterdam workforce was unemployed. Over 50 percent of Moroccan-born residents were out of work. The Wassenaar Agreement confirmed a tilt in distributive power to the advantage of capital: the wage share of GDP fell 10 percentage points. Real wages did not recover their 1980 level for another generation. The response to the, by international standards exceptionally high, reduction in real wage growth, that was achieved after 1982, has been disappointing: Dutch GDP growth and productivity growth were lower during 1984–2000 than in the period 1960–80; and while post–1984 GDP growth has been desultory, labour productivity growth has exhibited a clear downward trend, that was much stronger than the OECD average. 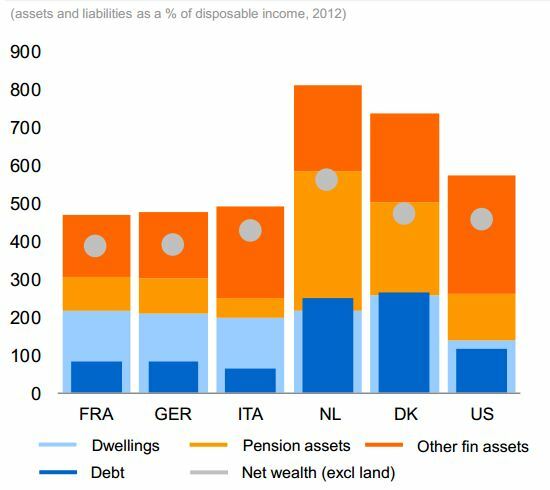 Enormous pension funds — the Dutch system of retirement provision is one of the world’s most privatized — supply a pool of ready savings for the local capital market. Rather than facilitating productive investment, these assets allow Dutch firms to borrow for mergers, acquisitions and divestment. Neglected for four decades now, the fixed capital stock has become run down and obsolete, while technical change has stagnated. From 2000 until the crash of 2008, private demand was accounted for by residential investment (construction and dwellings improvement). This peculiar, hollowed-out domestic profile grants the Netherlands its international role: linking the hinterlands of German-centred Mitteleuropa to the broader North Atlantic zone. Always tightly entwined with London and US financial markets, the Netherlands played an outsized part in gross capital flows within Europe and without in the leadup to the 2007 crisis. 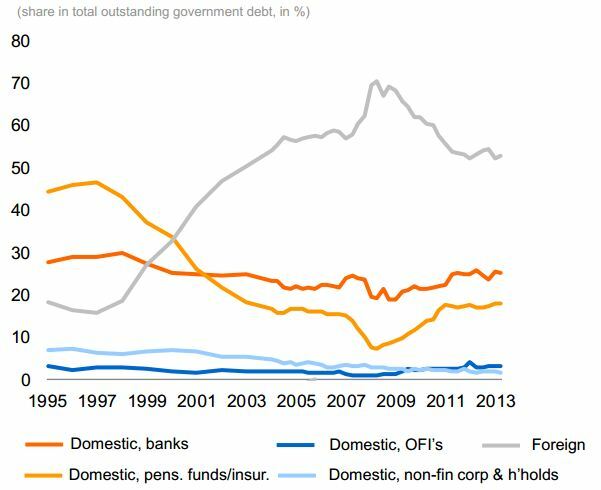 From the late 1990s, foreign ownership of Dutch government bonds rose to wartime levels. National territory, dense with people, also accommodates the virtual encampment of corporations. 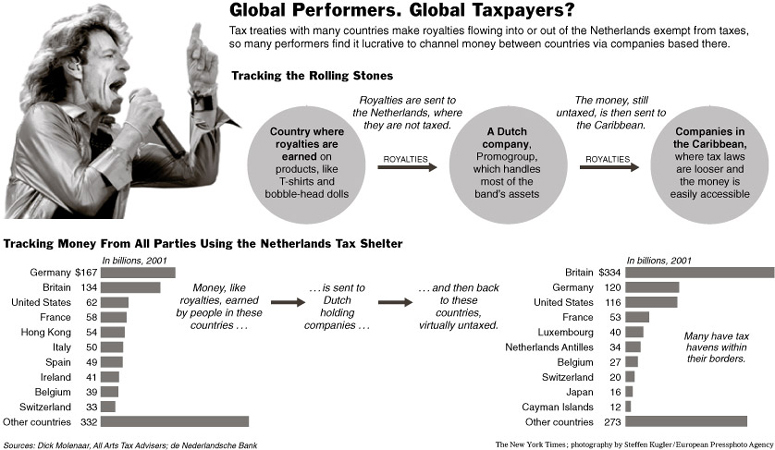 In 2012 the Netherlands accounted for 15 percent of all foreign profits reported by US multinational enterprises, easily the most of any country in the world (tax havens Ireland, Bermuda and the UK trail far behind). This haul of loot from the Netherlands — nearly three times as much as is yielded from US affiliates in the UK — is generated by less than one-sixth of the number of employees. The Netherlands is home to more than 20 000 ‘letterbox companies’, domiciled there for the jurisdiction’s favourable menu of tax exemptions. In 2009 a White House press release listed the Netherlands as a tax haven, provoking an official démarche from the Dutch embassy in Washington. 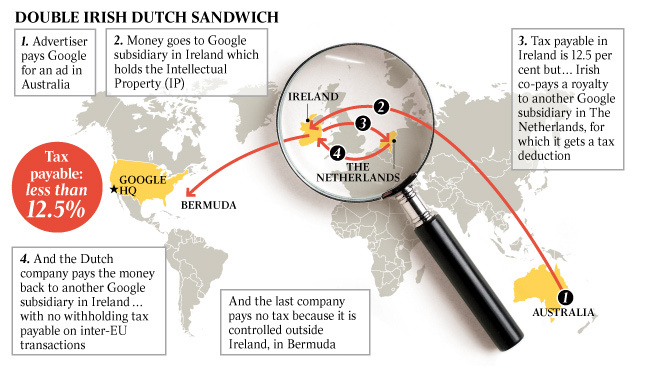 The so-called ‘Dutch sandwich’ has entered the journalistic lexicon when discussing tax avoidance. In 2006 the rock group U2 notoriously shifted its operations from Ireland to the more ‘tax competitive’ Dutch jurisdiction. The Rolling Stones had done the same in the 1970s. As in other national economies with swollen financial sectors, the country is now exceptionally unequal. The onset of crisis has not helped matters. Several large firms (Fortis, ABN Amro. Philips, V&D and Nutreco) cut spending or became insolvent. Non-residential fixed capital formation, already low, fell by 16 percent in 2009. Household expenditure has fallen every year since 2007. Nearly a third of Dutch mortgage holders held negative equity in the their homes, after a fall in house prices of 15% in 2008 was followed by another 6% in 2012. While private spending is constrained, the Dutch government, which saw its credit rating downgraded in November 2013, spends a similarly low amount on social spending to its British and Luxembourg equivalents. Traditional frugality has not slackened. Having disposed of the uncooperative Wilders, the Liberal prime minister found new partners willing to hike the VAT, cut health subsidies, loosen employment protection and raise the pension age. After Vestia, a public-housing association, lost €20 million on derivatives deals, the government obliged it to sell residential properties it owned. This left occupants to become tenants of an international investment fund. Circumstances are such that, eighteen months ago, 1600 people applied for a job working in the cloakroom of the Rijksmuseum in Amsterdam. In the king’s address to parliament that year, Willem-Alexander, as ventriloquist for the prime minister, declared the end of the Dutch welfare state. Amid this panorama of gaping inequality and social misery, political authority has remained robust. 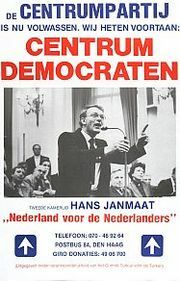 The Christian Democrat Ruud Lubbers, taking office at the same time as Helmut Kohl, ruled for 12 years; Kok followed for eight years, succeeded by Balkenende for the same span; Rutte is now in his sixth year. Electoral convulsions, provoking alarm among bien-pensant commentators, have been absorbed without fuss by political operatives themselves. Upheaval at the polls has not been matched by any corresponding fragility at the apex of executive power, or disturbance in the streets and workplaces. The partisan system is another matter. Differences of label and identity have long outgrown ideological divisions among Dutch political parties. In the 1990s, a pensée unique spawned purple coalitions uniting Labour with liberals in the same enduring, market-friendly ruling cabinets. To the numbing chorus praising the wonders of markets, efficiency and privatization, an angry counterpoint naturally emerged, drawing attention from a dazed electorate, cast adrift for two decades while wages stagnated and profits surged. Among the parliamentary blur, how to distinguish friend from foe, sturdy advocate from unprincipled chancer? The old markers of partisan affiliation and programme were henceforth meaningless covers for momentary calculation. Were not shared culture, religion and ‘community’ the only reliable means of securing loyalty and defining boundaries of group membership? If everyone’s cultural identity is allowed to persist unimpaired, integration will suffer. And integration there must be, because the Turkish and Moroccan immigrants are here to stay. That is now recognized by all. If integration is officially declared government policy, which cultural values must prevail: those of the non-Muslim majority or those of the Muslim minority? Here there can be no compromise and no truck. In many parts of the Muslim world the principles I have mentioned are not honoured. Islam is not only a religion, it is a way of life. In this, its vision goes counter to the liberal separation of church and state. In many Islamic countries there is little freedom of expression. The case of Salman Rushdie may be extreme but still indicates how far apart we are on this issue. The same goes for tolerance and non-discrimination. The way women are treated in the world of Islam is a stain on the reputation of that great religion. I repeat that on these essential points there can be no compromise. These principles have a value that is not relative but of the essence. As elsewhere, the Rushdie affair supplied a pretext. Far from being threatened, authority was stabilized by these unruly entrants. 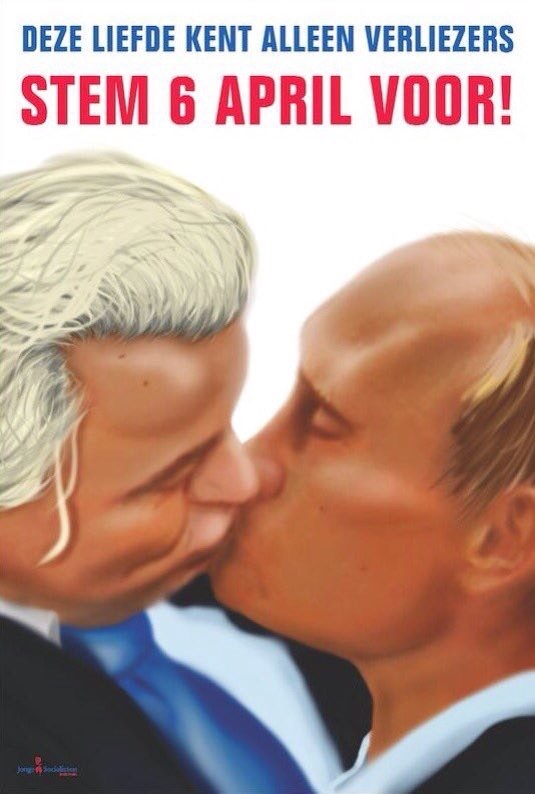 In Fortuyn and Wilders, it found a supplement of charismatic appeal to make a hidebound parliamentary scene more appetizing, without ever risking popular mobilization against the forces of order in Dutch society. The compensation of ethno-politics now provides solace and distraction for all comers. The tribal heraldly of orange lion and Islamic crescent alike salves the wounds of unkind labour markets, harassment by police, bureaucratic hostility, political remoteness, social displacement and cultural unmooring. The shift in popular priorities was sealed when the Immigration Minister, defying advice from Cruyff and others, grandly rejected the naturalization of a promising Cote d’Ivoire footballer. Might maintenance of domestic order now interfere with The Hague’s mission abroad? Can international high politics, however sound and responsible, survive a narrowing base of popular support? Together with Belgium’s Paul-Henri Spaak, J.W. Beyen — a Philips and Unilever executive, parachuted into the postwar foreign ministry without so much as membership of a political party to his record — embraced supranational institutions as the best way to secure Dutch influence otherwise diminished by the end of colonialism. Continental integration meant upward national mobility. Meanwhile, having briefly defied Truman in Indonesia, The Hague was brought to its senses by Acheson’s threat to discontinue NATO and Marshall Plan support. Thenceforth Dutch governments have humbly made amends with loyal Atlanticism. Joseph Luns would become NATO’s longest-serving secretary general. Little genuine risk to these priorities is posed by the electoral success of Wilders, who welcomed the lynching of Gaddafi, expressed hope for the new Libyan regime, salutes Tel Aviv as ‘the first line of defence for the West,’ and approved the deployment of Dutch F-16s to Syria and Iraq. In Europe, on the other hand, the Union’s oligarchic structure provides the best insurance against popular truculence. Where voters thwart the will of the regenten, no dodge is deemed too high-handed to bypass the obstruction. In 2005 the EU constitutional treaty promoted joint military action, cooperation between intelligence agencies, and compatible immigration statutes. These were matters of importance and, after rejection at the polls, they were swiftly achieved via the Treaty of Lisbon. What of translatlantic solidarity? Balkenende’s first cabinet, which included representatives from the Pim Fortuyn List, prominently supported Washington’s regime-change operations in Iraq. Its foreign minister, Jaap de Hoop Scheffer, so excelled himself that he was recruited as NATO secretary general. There he oversaw the ramping up of military occupation in Afghanistan. Indeed, during the last 20 years under Kok, Balkenende and Rutte, the country’s armed forces have participated in each war initiated by the US: the Netherlands provides the only example of such devotion outside the core Anglosphere. Thus has the Dutch state’s militarism abroad erected and furnished the domestic stage on which Fortuyn, Hirsi Ali and Wilders strut. War against one Muslim population after another contributes the emulsifying substance without which their demagogy would crumple. Bolkestein in 1989, speaking as the Soviet satellite states collapsed, invoked a ‘clash of values’ and ‘universal rights’: Huntington and Ignatieff at once. He thereby introduced into local discourse the mood music that would accompany NATO’s expansion and belligerence in Eastern Europe, Southwest Asia, North Africa and Central Asia over the next 25 years. Hirsi Ali shuttled easily from the Dutch Labour Party to the Liberals, then to the American Enterprise Institute. For the most part there has, therefore, been continuity between domestic agenda and international stance. Where conflict does appear, the truth is that the popular will as expressed at the domestic ballot box is not decisive in the formation of any European state’s politico-military policy abroad. Plans are designed and deliberated upon on high. When they do not already correspond to the wishes of a domestic constituency, civic assent — negative compliance, if not positive enthusiasm — can usually be contrived; where not, it is trumped or flouted. However disagreeable to the voter, parliamentary majorities are stitched together. The brutal reality of West European politics is that no government has successfully defied the wishes of the United States on a matter of strategic importance since the Suez Crisis. No matter which crass, deliberately tactless parvenu is chosen to occupy the Catshuis in coming years, this binding imperative cannot be shirked by any Dutch ruler. Wilders, pledging to reclaim ‘sovereignty’ from Brussels, has said little about the overlord in Washington. He is, assures Bloomberg, ‘strongly pro-US and pro-Israel.’ These are the prerequisites for high office. Should Turkish accession to the EU ever become a strategic necessity, Dutch assent will doubtless be forthcoming. The most recent advance, in 2005, came during The Hague’s previous presidency of the EU Council; that it again occupies the office is no coincidence. The Netherlands possesses an enthusiastic demographic constituency with straightforward material interests in Turkish membership of the EU. The liberal establishment has long supported Ankara’s entry as a matter of honour. The cavils of a rump right, indulged for the moment while convenient, will not be brooked if necessity demands otherwise. But for now chauvinism of the Heimat thrives. Nearly a decade of prolonged European stagnation, punctuated by the blowback of violent attentats and displaced populations, has dissolved cooperative dreams. These are the polite voices of centre-left moderation. Deplored everywhere as regression by a formerly pragmatic, liberal-minded people, Dutch anti-immigrant ideology lacks a local reservoir of atavistic images, depicting a nation unspoiled before the arrival of aliens. Historians estimate that foreigners already made up one-third of the Dutch maritime labour market (whaling fleet, naval seamen, herring fisheries and merchant marine, VOC crews to the East and West Indies) during the late seventeenth century. By the end of the eighteenth century, they numbered one half. The Dutch Republic, moreover, was a loose confederation that bequeathed few unitary institutions to the post-Napoleonic state. The monarchy is a recent contrivance. It was restored largely by force of Prussian, British and Russian arms, its rule arranged behind the scenes at Vienna. The Golden Age thus supplies no obvious images d’Épinal of the public sphere (as distinct from the private household). How then to exalt a continuous heritage around which national sentiment today might congregate? Chauvinist pride is unable to fix on a distinct religious foundation or appeal directly to ethnic bonds. Instead it celebrates the Netherlands’ contemporary cultural mores: sexual tolerance, emancipation of lifestyle, domestic customs and conversational candour as the badge of national character. Provos of the 1960s are telescoped backwards to Spinoza and Erasmus, in a fantasy of unbroken Dutch Enlightenment. I don’t hate Islam. I find it a backward culture. I have travelled in many parts of the world. Wherever Islam rules, it’s simply ghastly. All that ambiguity. They’re a bit like those old Calvinists. Calvinists are always lying. 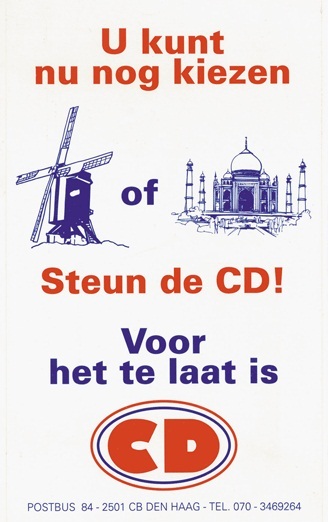 No slave to consistency, Fortuyn also appealed to nostalgia for the lost Netherlands of the 1950s. In that postwar decade, before the loosening of the 1960s, traditional cultural authority remained intact under the Labour government. Behind such parades of national self-love, there is compensation for today’s worldly hardship. Smugness offers a surrogate, a displacement of passions that disguises the source of straitened circumstances for many Dutch people. But the fascination with Dutch ‘norms and values,’ the concern for heritage protection of the national character, has a deeper source. The capitalist market unleashes powerful homogenizing tendencies, with its ‘convergence criteria,’ standardized products, land clearances, and disdain for tradition as an obstacle to trade and profit. National distinctions in European manners, dress, cuisine, buildings, artistic output, material culture, child-rearing practices and political institutions have all diminished since 1945. Hybrids have formed. The Netherlands, famously open to exchange with the world beyond its borders, has adulterated or relinquished many national peculiarities, and absorbed others. Having razed all features from the landscape, however, the market grows tired of uniformity. Announcing a new respect for endangered folkways, it seeks to promote ersatz ‘local’ flavour. National identity is retrofitted as brand, colour or product feature. Thus a central business and recreational district, planned by the Dutch architect Rem Koolhaas, was recently completed for the city of Almere. Almere is a polder town reclaimed from the former Zuiderzee, built during the 1970s. A nameless, placeless town… The polder was a perfect tabula rasa, without context, without history, without obstacles, and with a topography that would be shaped entirely in accordance with their wishes. Since there was nothing, everything was possible. A description of Almere, a kind of exurb built on sand, appears at the conclusion of Simon Schama’s brilliant book on Dutch culture, The Embarrassment of Riches. And for a city that is supposed to house 200 000 people, Almere makes a decent effort to return to the principle of the buurt, the neighbourhood, by arranging its houses around courtyards. Inevitably these have a somewhat artificial look, so that from the air Almere looks more like a cantonment… than a group of spontaneously clustered houses. But there is much brick and tile there, sloping roofs and little yards, and the people have responded with their own natural inclinations for the gezellig. Gemeenschap, or its pastiche, was thus recovered in unlikely circumstances. Where rootless anomie might otherwise be thought to reign, ‘Dutchness’ had been planted. There is always a quarter called Lipservice, where a minimum of the past is preserved; usually it has an old train/tramway or double-decker bus driving through it, ringing ominous bells — domesticated versions of the Flying Dutchman’s phantom vessel. Its phone booths are either red and transplanted from London, or equipped with small Chinese roofs. Lipservice — also called Afterthought, Waterfront, Too Late, 42nd Street, simply the Village, or even Underground — is an elaborate mythic operation: it celebrates the past as only the recently conceived can. It is a machine. In spite of its absence, history is the major preoccupation, even industry, of the Generic City. On the liberated grounds, around the restored hovels, still more hotels are constructed to receive additional tourists in direct proportion to the erasure of the past. In this, as well, today’s Netherlands is hardly alone. You are currently browsing the Churls Gone Wild blog archives for April, 2016.